Benjamin Franklin lived in London's Craven Street for nearly two decades, while he was an ambassador for the American colonies. The elegant, four-storey townhouse at 36 Craven Street was renovated and restored in 1998, as the Friends of Benjamin Franklin House decided to turn the then-dilapidated property into a museum. But the restoration work threw up an incredible discovery. One month into the renovations, a construction worker called Jim Field found a small pit, about one metre wide by one metre deep, inside a windowless basement room. Sticking out of the dirt-filled pit was a human thigh bone. After calling the police, the excavation continued. More bones were found. And more. In the end, more than 1,200 human bones and fragments of skeleton were unearthed. The bones were the remains of around 10 bodies; six of them children. Tests revealed the bones to be around 200 years old. 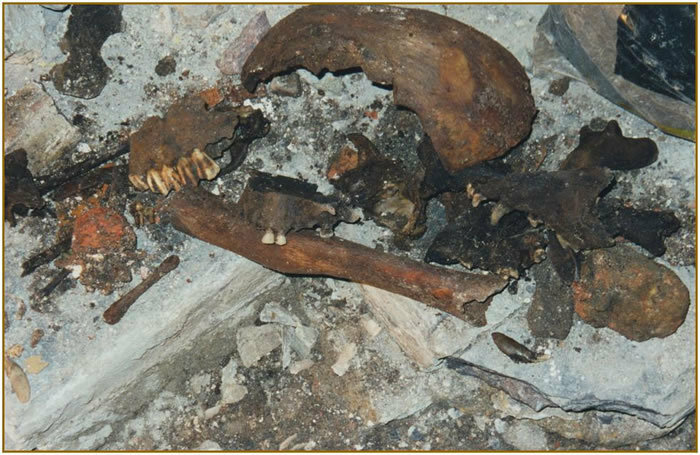 Historians and the Institute of Archaeology agreed the bones had been buried in the basement at the same time Franklin was living in the house. What nefarious history had been hidden underneath this Founding Father's house? 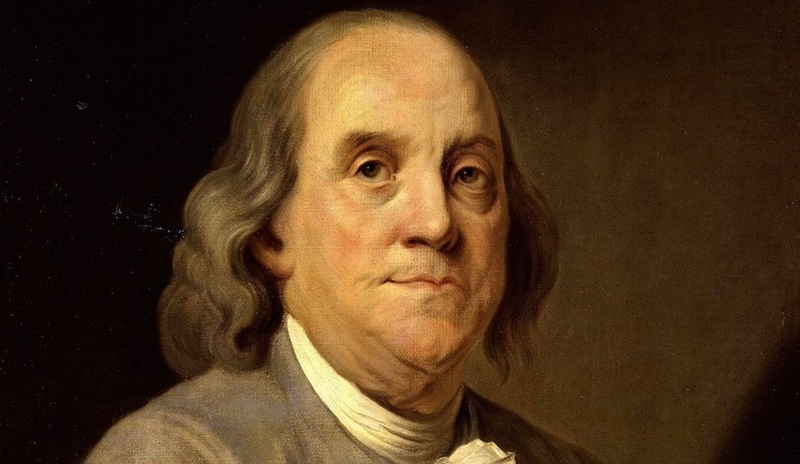 Benjamin Franklin was a lot of things: author, politician, scientist, diplomat, freemason and statesman. But it turns out, he definitely wasn't a murderer. Further investigation showed some of the bones had been sawn through; others bore scalpel scars; a skull showed drill holes probably made by a trepanning device. 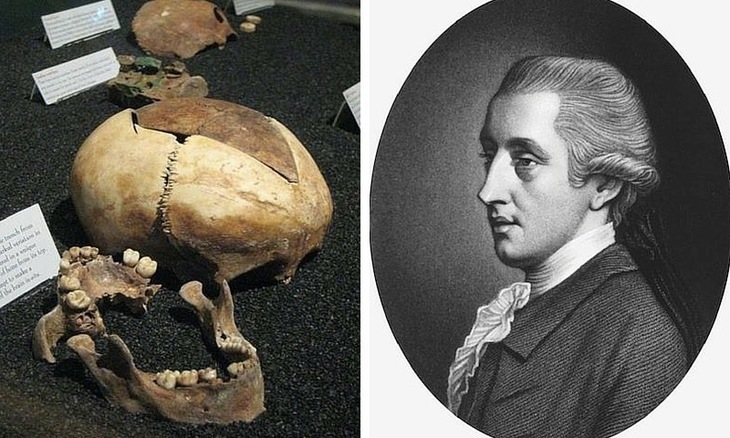 This evidence pointed Franklin's close friend, William Hewson, an early anatomist, who had been working in secret at the Franklin's home at that time. Hewson had been studying anatomy under Scottish scientists and surgeons, the Hunter brothers. Hewson famously showed how blood passed through the lymphatic system, by using mercury and a turtle. The discovery attracted the attention of scientist Ben Franklin, and the pair became friends. By the 1700s, it was growing as a subject for study, but it was still only legal to dissect the cadavers of convicted and executed murderers: and the problem was, there weren't enough bodies to go round. Body snatchers and 'resurrectionists' thrived, stealing dead bodies and selling them to the scientists. It seems 36 Craven Street was the perfect place for an anatomy school: Hewson was married to the landlady's daughter; the tenant, Ben Franklin, was a trusted friend; and the house lay between two sources of material. Resurrectionists could smuggle bodies from graveyards via the Thames-side wharf at the end of the street, or snaffle unfortunate cadavers from the gallows at the other. Not only were uncertified dissections illegal, the means by which Hewson gained his materials were also against the law; disposing of these bones somewhere other than the basement would have risked being prosecuted for illegal dissection and possible grave robbing. Franklin in London, 1767. Painting by David Martin. 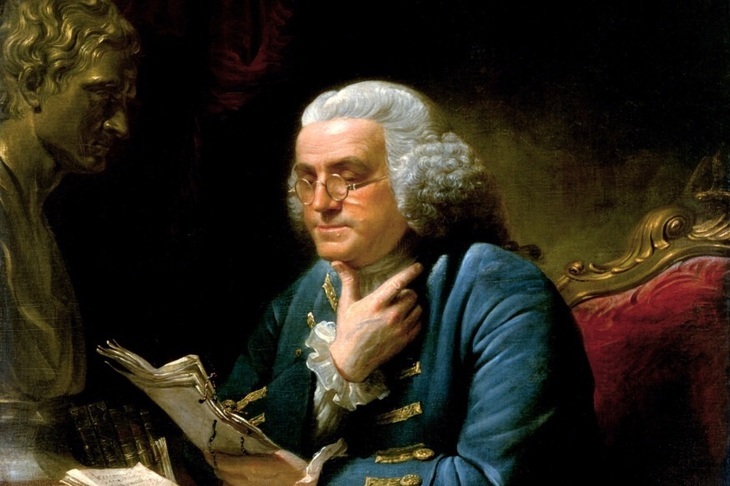 Was Benjamin Franklin aware of all the dodgy dealings going on in his basement? Was the Founding Father involved? There's evidence Franklin stayed elsewhere in the same area of London for a period, possibly while Hewson was living at the property in his place. We'll never know for sure whether Franklin himself handled those bones. Find out more about the Bones in Benjamin Franklin's basement at a special event at the Benjamin Franklin House on 26 July 2016. Festival of Archaeology runs from 16-31 July.